As a designer, Barbara Horowitz’s true skill is to create serene spaces in which her clients can feel nurtured and restored from their very busy and sometimes harried lives. In addition to being inspired each and every time by her clients, Barbara’s passion for design takes her all over the world, looking for inspiration and opportunity to redefine her vision. Barbara has designed an extensive number of projects from elegant urban homes to casual weekend getaways and innovative public spaces such as restaurants, schools, corporate offices and synagogues. BHS Design has been featured in publications throughout the Tri-State area such as The New York Times, Westchester Magazine and Long Island’s Newsday. A Residential Designer with 25 years of experience, Barbara’s passion is to collaborate with her clients to create beautiful interiors that enhance their lifestyle and reflect their personal taste. Whether you are planning a move, a renovation, or redecorating project, Barbara will help you define your style, manage your project and design a home that is uniquely yours. A graduate of the FIT Interior Design program and a professional member of ASID, Barbara Sternau has been in the business of full-service residential design for 19 years. Sternau defines her style as eclectic, traditional design, but she sums up her approach in three words: color, comfort, and creativity. If you want to see how this plays out in interiors, check out her store, The Design Shop. Karen Houghton Interiors has been providing clients with sophisticated interior design and livable homes that accommodate their family’s needs and personalities for more than twenty years. KHI’s design studio is located in Nyack, NY where Karen and her associates work on projects ranging from such large scale projects as designing an entire house to specific assignments such as creating exceptional window treatments. They approach all projects with creativity and enthusiasm! With experience working in styles ranging from American traditional, transitional modern, and contemporary with Eastern influences, DeBear Designs works to reveal the unique style of each client. That can take the form of custom furniture, upholstery, or window treatments through Carol’s exclusive industry contacts. Carol’s interiors are luxurious spaces that engage the eye with fine detail and calm the mind with balanced design elements. Since 1986, Gregory Allan Cramer & Company, Inc. has created residential and commercial interiors for a wide range of clientele. From rustic chic to ultra-modern minimalism, our team is well-equipped to handle all phases of the interior design and decoration process, regardless of the size, style, scope, budget or location. Each project begins with a thorough consultation to identify the style, needs, and desires of our clients. Our talented team will then develop a comprehensive and customized plan that, upon approval, will result in a gorgeous, dynamic, and liveable space. With the expert guidance of our team, all of our clients achieve maximum impact for their design projects without maximizing costs. In addition to more traditional design work, our team can also consult, spec, install, update, and troubleshoot any and all necessary (and ever-changing) technology, whether it is a state of the art home theater, full surround sound system, a wireless home office, or an advanced home security system. The team at Gregory Allan Cramer & Co., Inc. is committed to providing our clients with the highest level of service, dedication, and business transparency, ensuring a successful working relationship. Jacqueline Cutler believes that a house should look like those who call it home. She specializes in high end interiors that reflect and enhance their clients’ lifestyle. 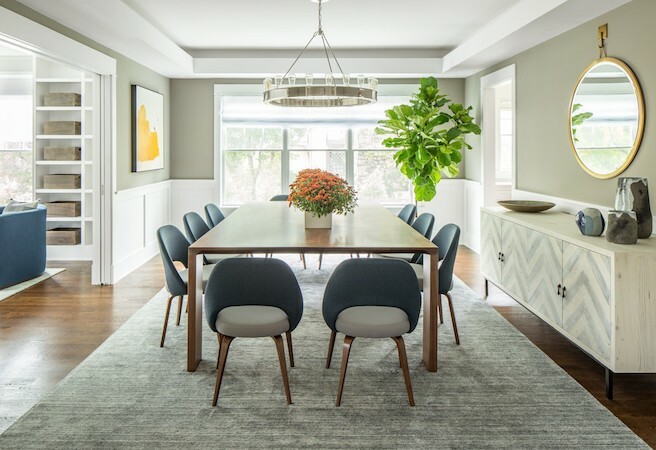 Her team carefully listen to their clients’ needs and dreams, and transpose those into interiors that radiate refinement, style, elegance, warmth and comfort. Some projects start with one room while others involve the entire residence or space. Good design is knowing when to stop; to not overdo or overwhelm, but to let the personality of the client shine. After all, it’s all about the mix, not the matching. Cutler design beautiful interiors that create backgrounds for our clients to fully enjoy the art of their living. 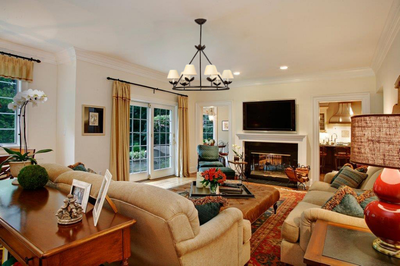 Susan Marocco Interiors designs interiors that are elegant, distinctive and comfortable. Our inspiration comes from listening; melding skills and experiences, with clients wants and needs to develop interior design solutions that reflect their taste and lifestyles. Susan Marocco Interiors is a full service interior design firm, staffed with professional ASID – American Society of Interior Designers; who have the training and expertise to plan, schedule, execute and manage your interior design project from concept to completion. Jane Bell Interior Design provides creativity and guidance for all aspects of a design project. For new home design, renovations, updating or home staging, Jane will help you develop your style and create a timeless interior that reflects you. With particular care to budget, Jane provides multiple services which include: initial concept development, floor plans and built in design, shopping and selection of furniture, fabrics and carpeting, window treatment design, development of a color palette and recommendation and supervision of all trades.